Ireland is the final country in the EU to pass the United Nations (UN) Convention on the Rights of Persons with Disabilities (CRPD) having been approved for ratification by the Dáil this evening. CRPD will protect disabled people in Ireland against discrimination under the law. Without it, universities and businesses cannot be held legally accountable for not extending services to people with disabilities. According to the UN, the convention is “intended as a human rights instrument with an explicit, social development dimension,” and “adopts a broad categorization of persons with disabilities and reaffirms that all persons with all types of disabilities must enjoy all human rights and fundamental freedoms”. The convention “clarifies and qualifies how all categories of rights apply to persons with disabilities and identifies areas where adaptations have to be made for persons with disabilities to effectively exercise their rights and areas where their rights have been violated, and where protection of rights must be reinforced”. Laura Beston, Trinity College Dublin Students’ Union (TCDSU) Officer, spoke to Trinity News following the passing of the convention this evening. “To say that I am over the moon doesn’t even describe how happy the news that the CRPD has been ratified has made me,” she said. Beston highlighted that she is “incredibly proud of those in college and across the country that have fought over the past 11 years for the government to recognize the rights of people with disabilities”. “No matter how big or how small your actions in supporting the ratification it has paid off. I would encourage people to look towards this movement and take strength from knowing that campaigning makes a difference, even if it doesn’t seem like it,” she said. “Let’s keep the fight for rights going,” she commented. TCDSU President Kevin Keane noted that this is a “huge step forward for Ireland,” and one that “we should all welcome with open arms” in his statement to Trinity News. “The final ratification of the UNCRPD in the Dáil today is an excellent step forward in Ireland. 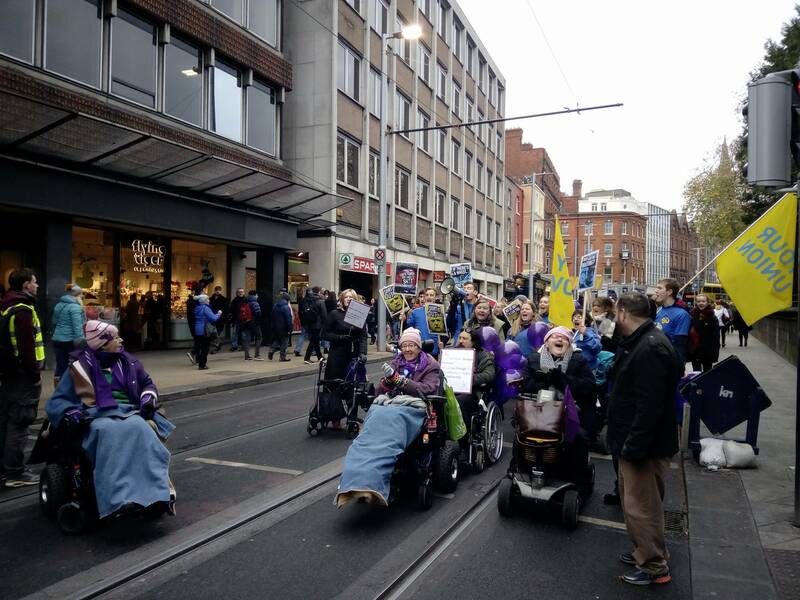 It can’t be overstated that this has come long overdue and possibly would never have happened without the excellent and tireless activism of disability rights activists across the country, including our very own Laura Beston, who has organised multiple extremely successful events both in her capacity of Officer for Students with Disabilities and otherwise, and huge credit has to go to them,” Keane said. On February 14 2017, TCDSU passed a motion, proposed by Herbert, to lobby the government for disability rights, and for the ratification of CRPD. Trinity students were also among those marching on December 9, with the aim of calling the government to ratify the convention, which had been signed by Ireland in March 2007, without being ratified. Once the Tánaiste and Minister for Foreign Affairs, Simon Coveney, signs the Instrument of Ratification, the documentation will be ratified in UN Headquarters in New York and be signed into Irish law 30 days following this.